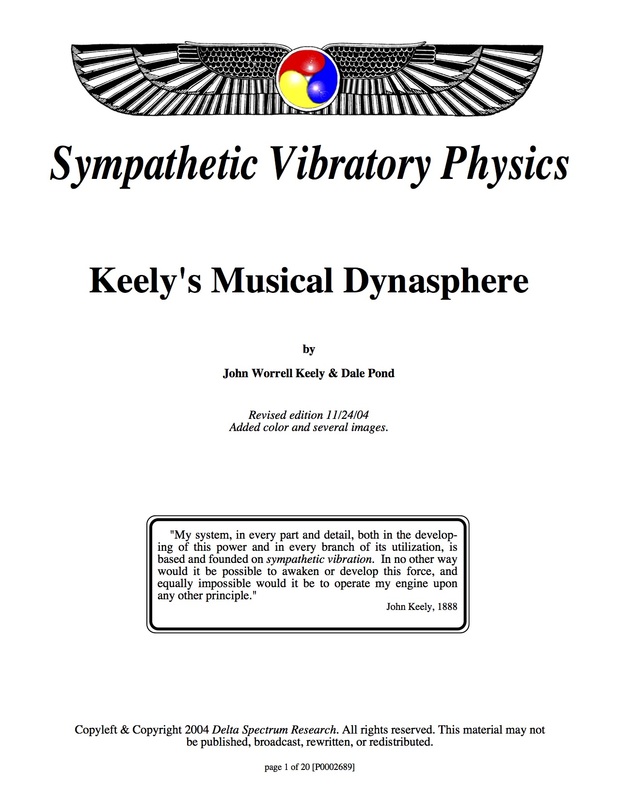 The construction and theory, in Keely's own words, of how his musical dynasphere was built and operated. Keely describes in his fabulous jargon the construction ideas and operating dynamics of these wondrous and beautiful rotating spheres. Includes nine pages of excerpts from eye-witnesses who saw these motors run under various conditions and configurations. Photos and illustrations. 8.5" X 11"